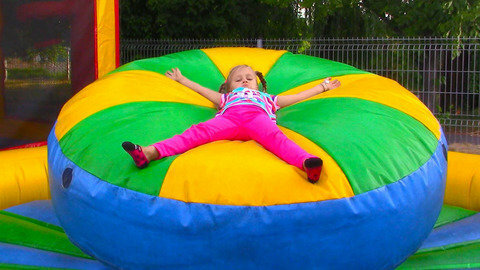 Have fun learning colors with Yasya and her friend as they jump, slide and enjoy outdoor play in the huge bouncy castle in this episode of her vlog for kids. Yasya’s colorful pink outfit matches the very colorful bouncy castles where they play. Sing the “Jack And Jill”, “London Bridge” and other songs for babies while watching. Catch other episodes of Yasya’s educational videos at SeeZisKids.com.